Most weeks there is very little for experienced M.U.S.C.L.E. collectors to pick from. 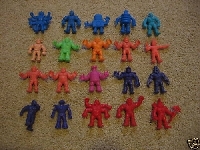 Some weeks there is very little for inexperienced M.U.S.C.L.E. collectors to pick from. Shipping available to continental United States only. PayPal only. 30 figures is not a large lot of figures. 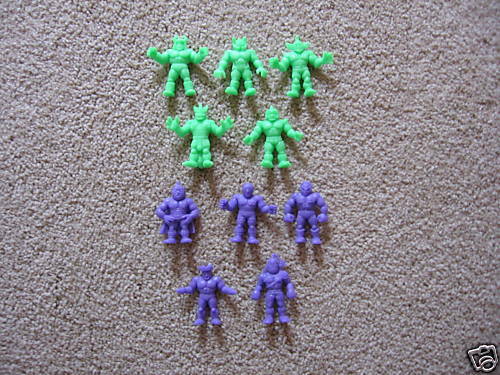 However, the figures appear to be in decent condition and there appears to be a bootleg in the second row from the top – all the way to the left. This is a welcome addition. 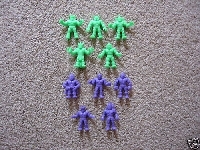 Ten of the figures are also from the board game and look to be in wonderful condition. Sellers should attempt to avoid having their buyers do any math. The title states 30 figures, while the first line states there are 20. Seven lines down the remaining ten figures appear and part of the board game. It is a minor issue, but could cause red flags to go off for lazy reading buyers. 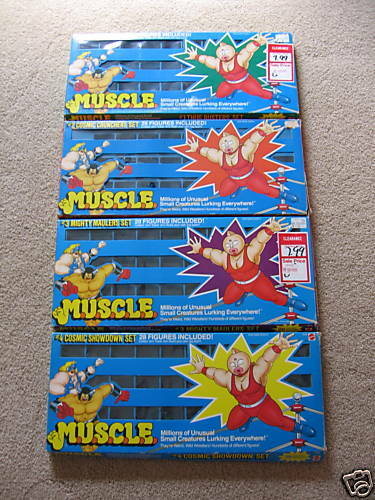 The four 28-packs are missing all of there figures, which is certainly a disappointment. However, none of the figures are difficult to acquire and could easily be replaced. The 28-packs appear to be in good condition overall. Two of the 28-packs have large clearance stickers on them. For some buyers this is a major flaw, while other buyers enjoy the history offered by the stickers. The clearance stickers appear to say $7.99, which seems incredibly high as a clearance price. The seller should have provided more detailed pictures of the 28-packs to appease “flaw” and “history” buyers. 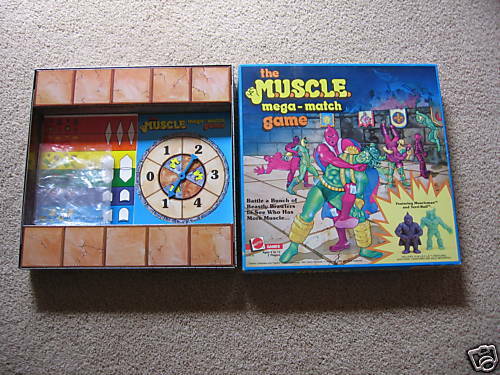 The M.U.S.C.L.E Mega-Match game appears to be the gem of the lot. The complete group of ten figures is accounted for and all look clean. 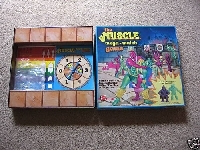 The box, game board, and spinner also appear to be in good condition. 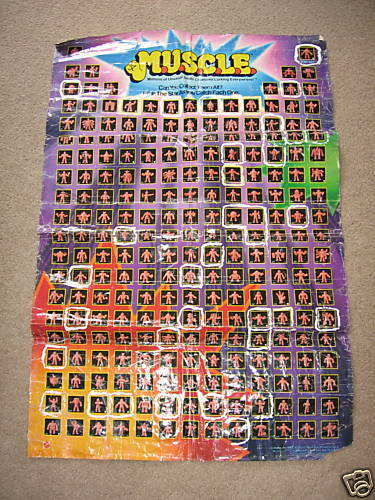 The sticker sheet is also included and seems to have the majority, if not all, of the small stickers – only the banner stickers appear to be missing. Lastly a Flesh poster is included. It is in terrible condition. It is badly wrinkled, torn, and has several figures with white circles drawn around them. A collector might hang this as an easy reference tool, but the “collectibility” factor is certainly nil. This lot has several positives and minuses for the inexperienced collector. 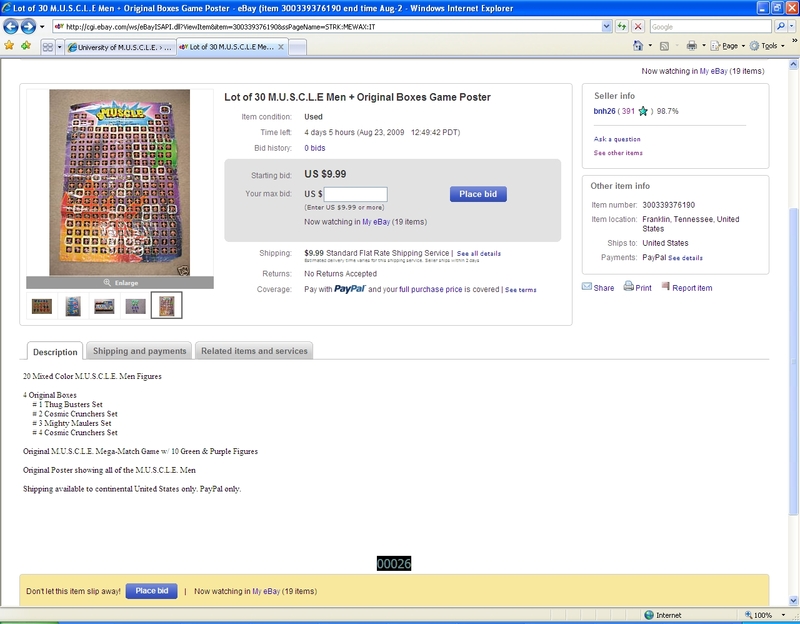 The ultimate “plus” is that the starting bid and shipping price are both very reasonable. 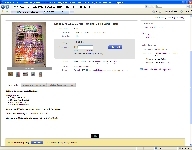 It is unfortunate for worldwide buyers that this item is not available to them. 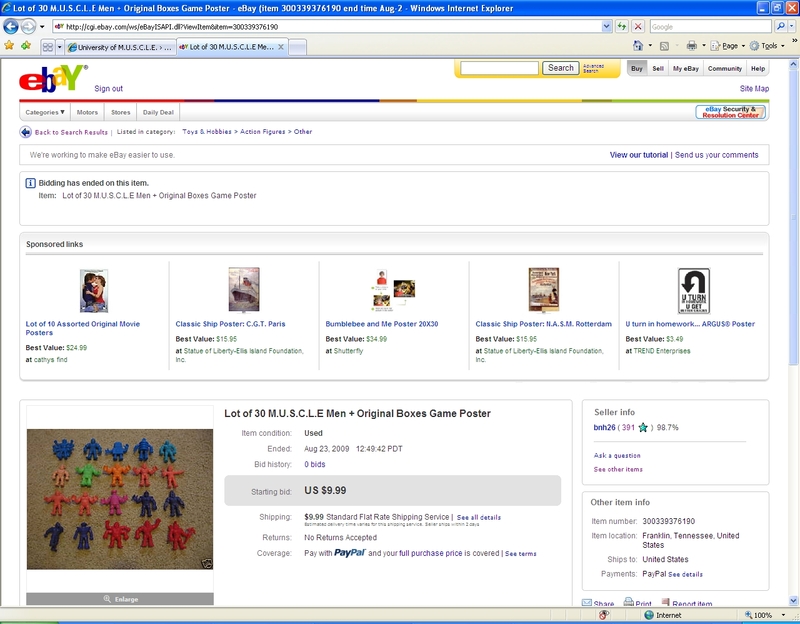 Follow-Up: This item did not sell, and has been listed again with a starting bid of $5.99. 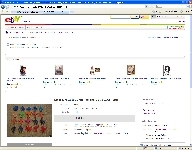 This entry was posted on Friday, August 21st, 2009 and is filed under Auction Watch. You can follow any responses to this entry through RSS 2.0. You can skip to the end and leave a response. Pinging is currently not allowed. 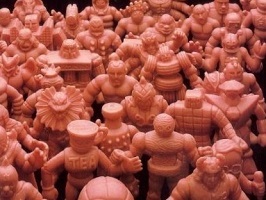 Auction Watch #36 « University of M.U.S.C.L.E.